Toys for Tots Drop Off Location - Founders Brewing Co. 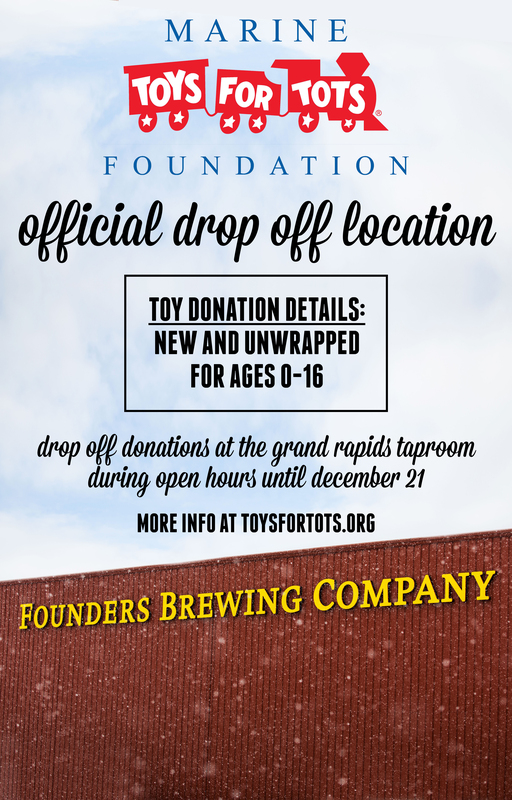 Founders Taproom – Grand Rapids is an official Kent County MI Toys for Tots drop off location now until December 21, 2018. Toys for Tots’ mission is, through the gift of a new toy, help bring the joy of Christmas and send a message of hope to America’s less fortunate children. Please bring in a new packaged gift for any ages 0-16 to the taproom during open hours this holiday season. For more information, visit Toys for Tots website.